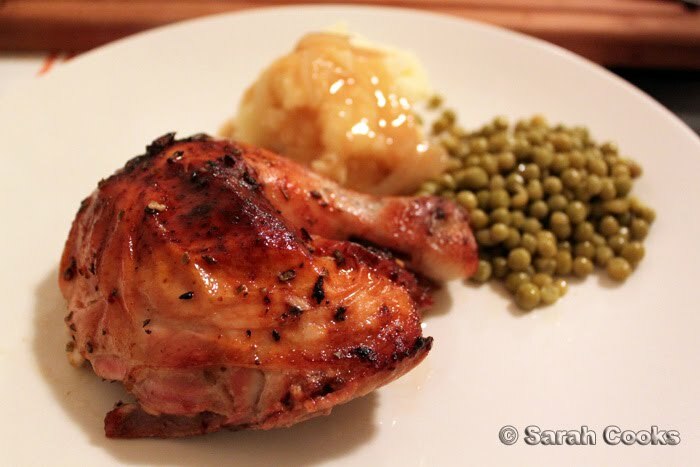 ... or "Variations on the theme of Roast Chicken and Tinned Peas"
I know it's been a while since I've blogged about something that I've actually cooked. Yes, I know the name of my blog is Sarah Cooks, not "Sarah Bakes Cookies", "Sarah Goes to Bars", "Sarah Goes to Restaurants". Although they all make compelling titles, don't you think? In fact, just yesterday I was reminded that I haven't done a cooking-related post since the meaty goodness of early April. Time to remedy that! Since I've moved out, I've been cooking more, and looking through my recent photos it seems we've been going through a huge peas-and-chicken phase! 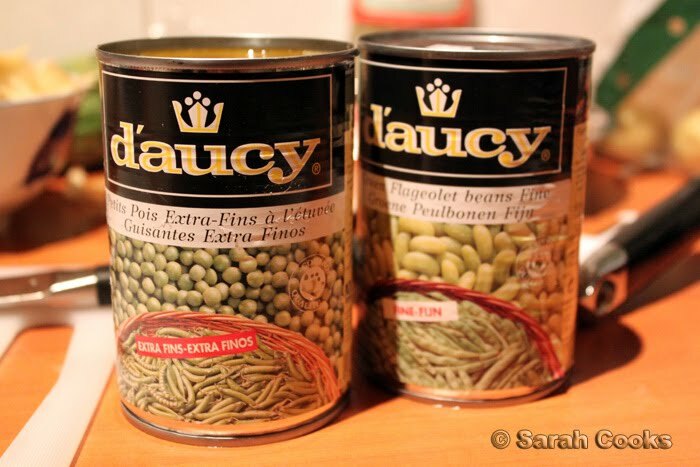 They're about $3.50 at Leo's supermarket, and I don't know what they do to the peas - the ingredients are just "peas, water and salt" - but they are absolutely delicious! We've been eating them with everything. So, without further ado, let's have a look at some quick and easy weeknight dinners that I've been cooking. 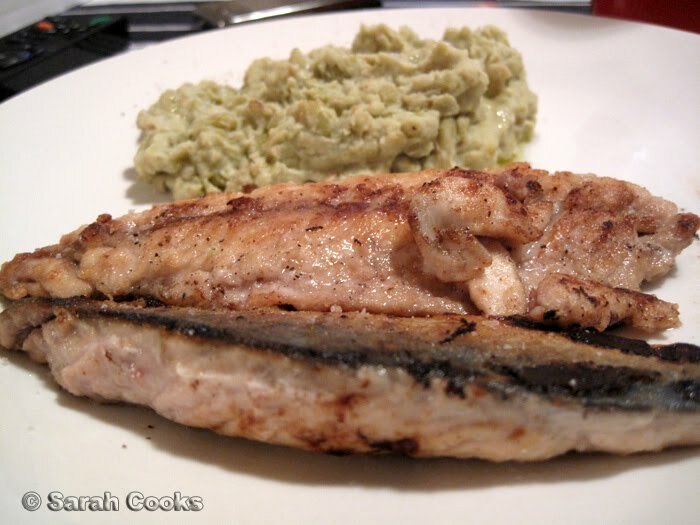 I bought a beautiful, super-fresh greasy mackerel at the fishmongers, and it was only $2.50. Bargain! I filleted it myself (rather messily, as you can see! 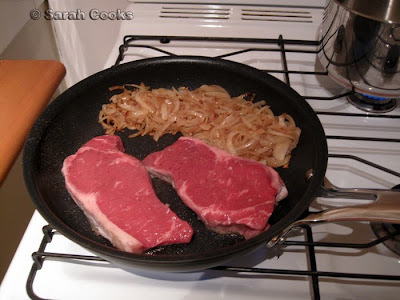 ), then dusted them in seasoned flour and fried them in a lightly oiled non-stick pan. For the mushy peas, I did a simplified version of Nigella's upmarket mushy peas. I heated up a tin of the D'aucy peas in a small saucepan with a touch of garlic, and then mashed them up with a touch of cream. Easy, cheap and full of healthy omega-3's. My dad gave us a couple of excess sirloin steaks he'd bought, which became the basis for the following meal. 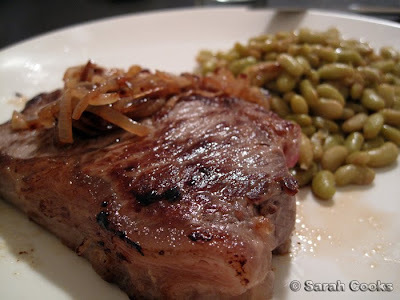 Quite simple - I sliced up an onion and cooked the slices on a low heat until soft and golden, fried the steaks, and heated up a tin of the flageolet beans. Ta-dah! Although I love a proper roast chicken, like the one you can see at the top of this post, they do take quite a while to cook. (About 90 minutes depending on the weight). Lately I've been getting into the spatchcocked chicken in a big way - just flip the bird upside down, cut away the backbone, flip the bird over and squish it flat. Well, I make it sound easy, but it takes a bit of practise to get it right. 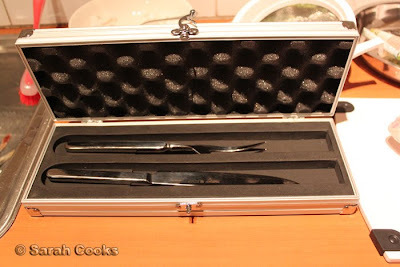 It also helps if you have a super-sharp knife. 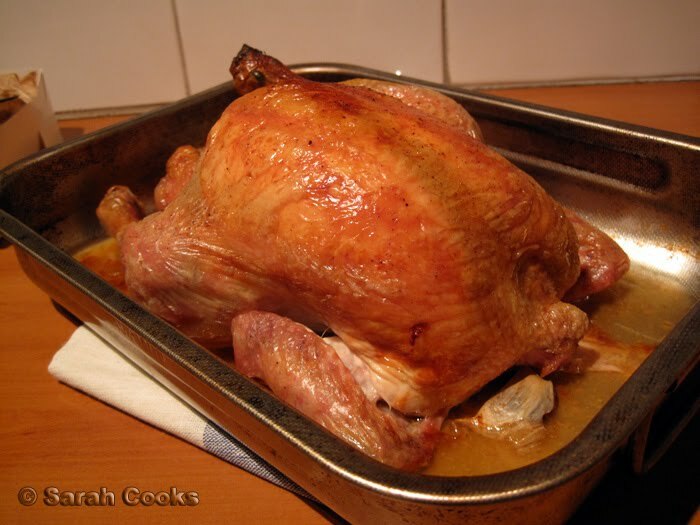 Once the chicken is flattened, it only takes 45 minutes to cook in a hot oven. Easy! 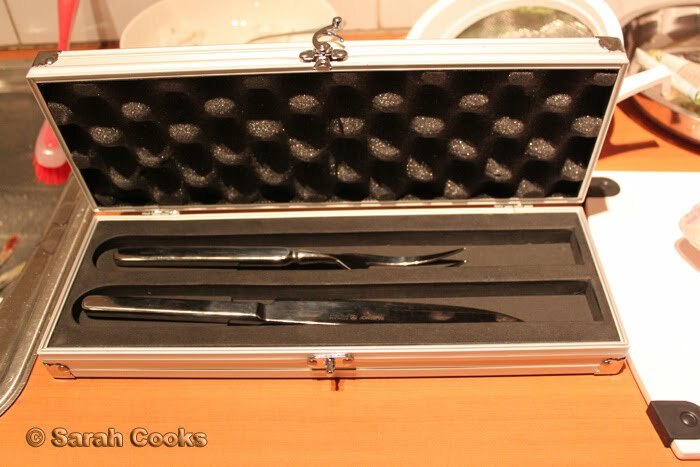 I usually squeeze lemon juice over, maybe some thyme, and chuck a few garlic cloves in too. 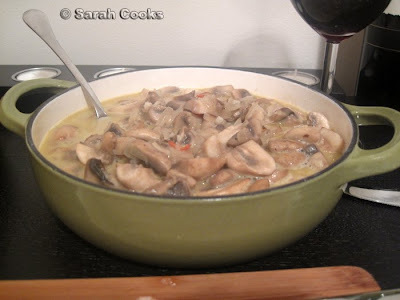 Creamy mushrooms with a touch of chilli. Cubes of crispy roast potatoes with garlic. 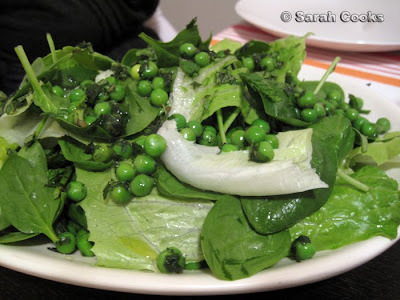 Pea and mint salad. This is just like Nigella's pea, avocado and mint salad from How to Eat, but without the avocado. Unlike the peas in the rest of this post, these ones are not from a tin, but frozen ones. They peas are cooked, then steeped in a dressing of olive oil, vinegar and chopped mint. Delicious. I don't normally cook this much on a weeknight, but for this particular meal, we were having a friend over for dinner. It only took an hour and 15 minutes to make everything from start to finish. Not a bad effort, I think! Yes, it looks like a meal you could get at Red Rooster. But it tasted better! This is another spatchcocked chicken, but with a different marinade. I made it after work one day when I'd been obsessing over the stickily-roasted chickens you get at the Lebanese or Greek suburban charcoal chicken shops. After some mobile-phone googling, I came up with this recipe. I boiled some garlic cloves in their skins until soft, drained them, skinned them, and mashed them up with a fork. I added lemon juice, olive oil, dried oregano, a pinch of cinnamon and some cumin. I rubbed that all over a spatchcocked chicken, and shoved it in the oven for 45 minutes. (Ideally you'd do this the night before and let the chicken marinate overnight). 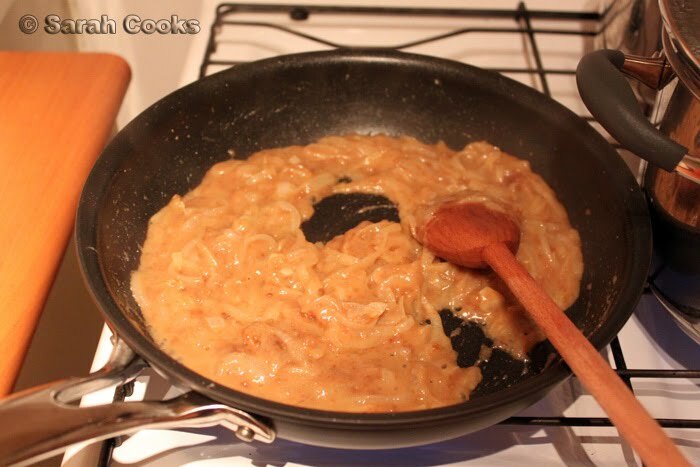 Because I was feeling rather industrious, I whipped up an onion-marsala gravy to go with. Delicious. 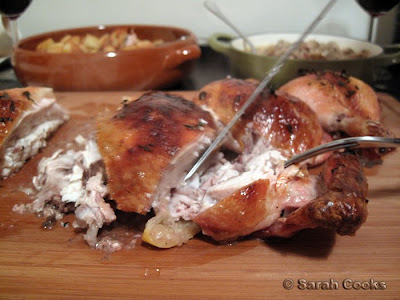 The chicken was very juicy, and stickily burnished on the outside. I was very happy with it, and would definitely make it again! As you can see in the above picture of the spatchcocked chicken, there were a lot of pan juices. Rather than let them go to waste, I scraped them into a little bowl, and refrigerated them for the next day. Roast chicken pan juices make a fabulous, intense pasta sauce. (I got this idea from How to Eat as well). 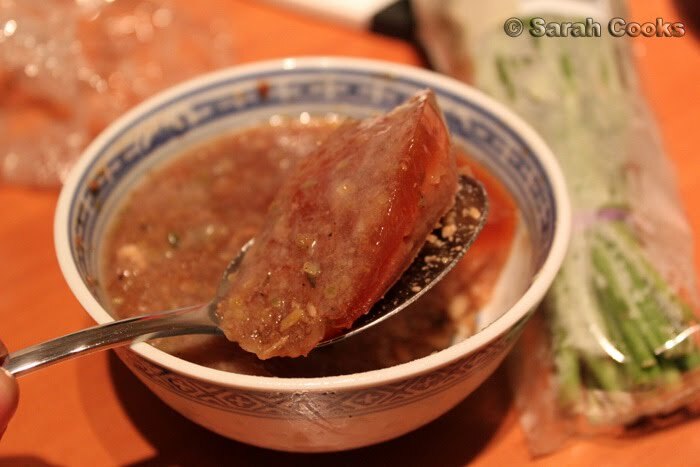 Check out how gelatinous it is! You scrape off the excess fat and let it melt in a pan. 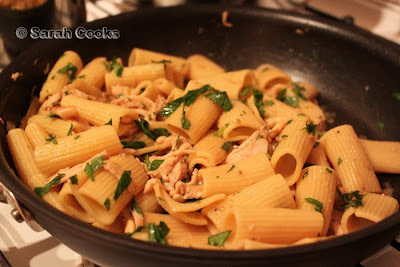 Add some cooked pasta, and any leftover chicken meat. (I had quite a bit). Heat it all up, sprinkle over some parsley and you are done! 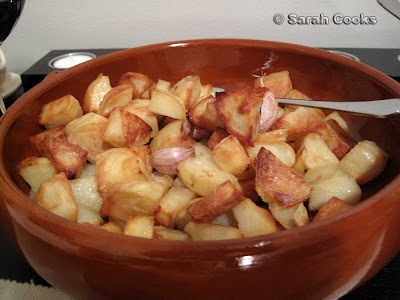 A tasty, easy and cheap weeknight meal. Ok. Where is the invite? Are you serious about those tinned peas? They're cheap at my local supermarket and now I'll have to give them a shot! I was happily reading and dreaming of chicken and peas all through this post when I was smacked between the eyes with your use of the leftover chicken juices! Why have I never thought to do this? 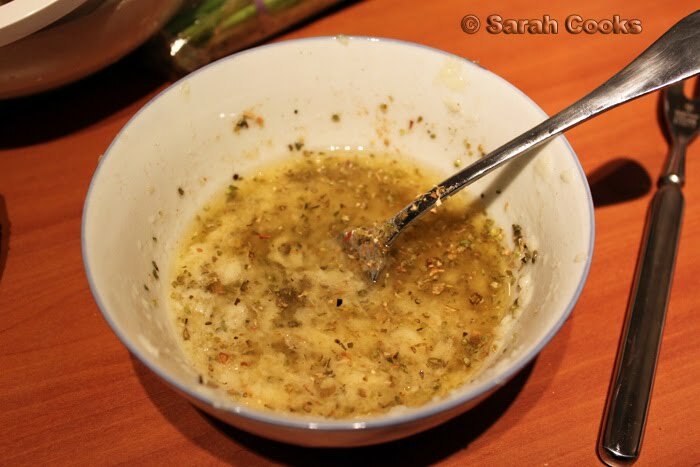 We often put the juices in a bowl on the table to dip bread in as we go but using it to make a pasta dish - I've got to get my chicken roasting friend to get cooking just so I can make the pasta dish afterwards. 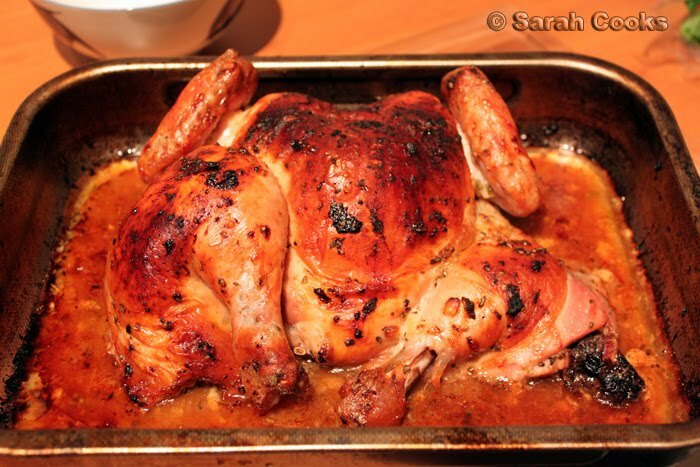 That roast chicken looks PERFECT. Unbelievably perfect! I've also gotten into doing the spatchcocked chicken this year - it's SO much faster to roast!